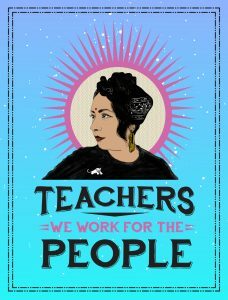 This week’s strike by United Teachers Los Angeles has been described by organizers as a “fight for the soul of public education,” and we agree. The stakes are high in 2019 as teachers in Los Angeles and Oakland Unified amplify calls for reduced class sizes, decreased dependence on standardized testing, and higher wages for staff. 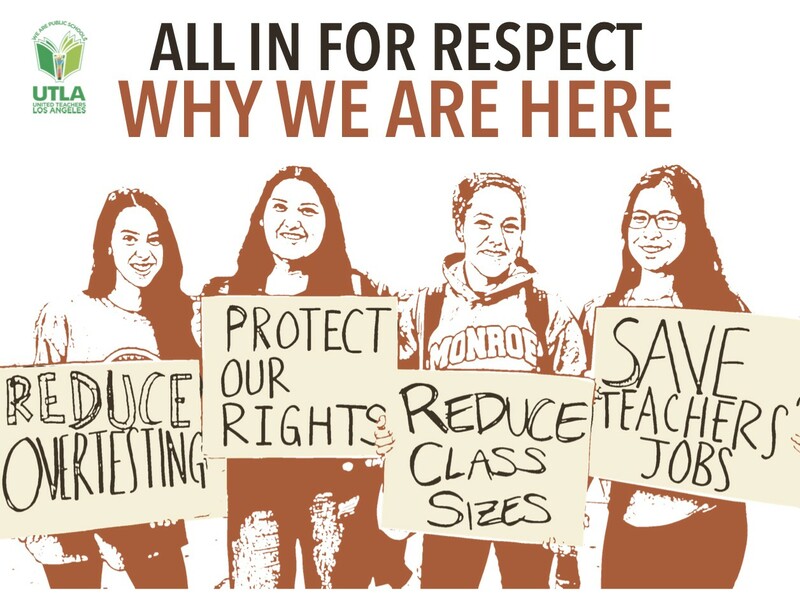 Californians for Justice supports these calls and recognizes how crucial a healthy school environment is for teachers and students alike. Without the support of public officials and the additional investment of resources, teachers–especially those working in low-income schools with predominantly Black and Brown student populations–are being forced to leave their schools and communities behind to find living wages. We’ve already seen this in Bay Area communities like Oakland, where the district is struggling to retain teachers–and teachers of color in particular–due to the housing crisis and the increased cost of living. This pattern of teacher turnover is detrimental to students and communities of color and makes it hard to build Relationship Centered Schools where all students, staff, and administrators feel safe, supported, and capable of thriving.